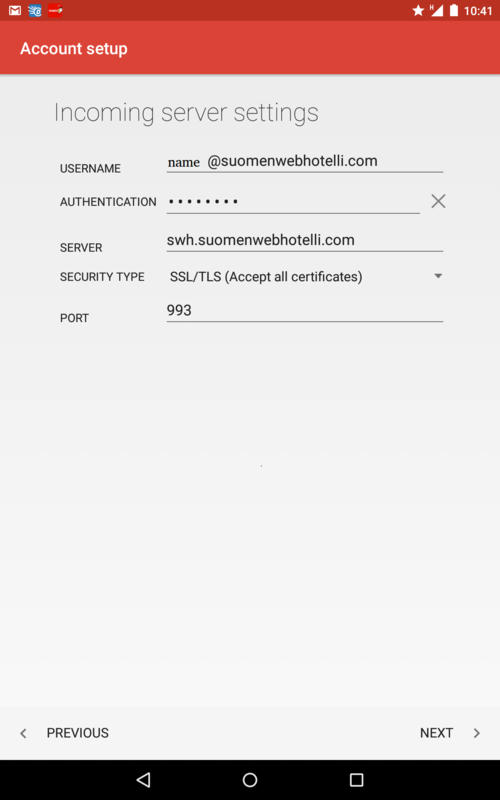 First fill in email address ~@suomenwebhotelli.com and password. You will be taken to incoming server settings. Fill in information given below. Replace name with your own. 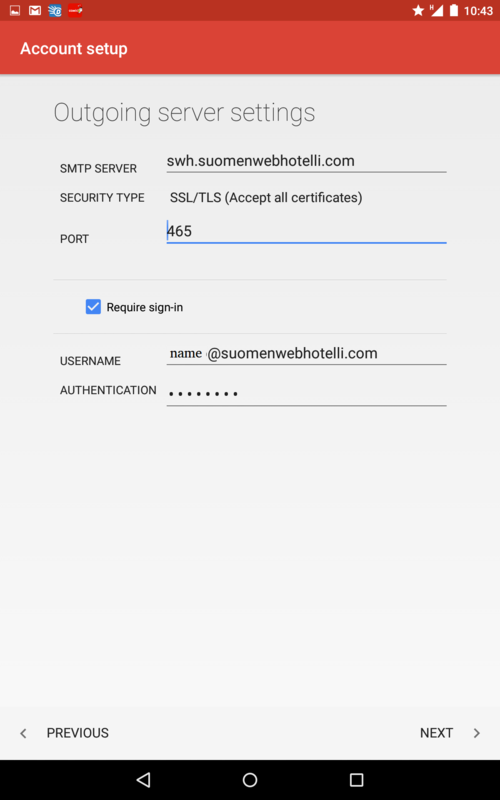 After setting up incoming server, we make settings for outgoing server. Once again fill in information given below and you are done.